Home › Ask the Vet › Diseases and Conditions › Supplement Recommendations for an EPM Survivor? Supplement Recommendations for an EPM Survivor? I have a 15 YO Warmblood gelding who is an EPM survivor. He has some residual neurological issues, what do you recommend for his supplements? 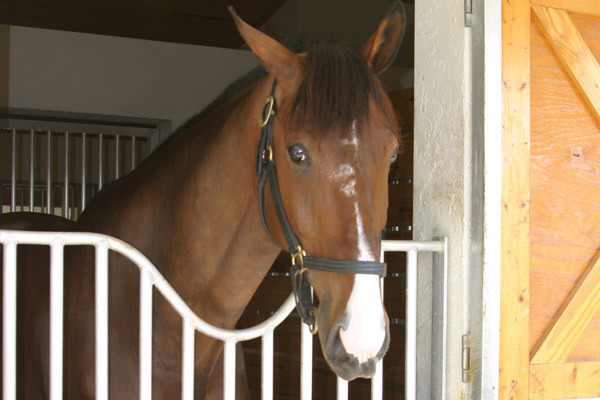 EPM (Equine Protozoal Myeloencephalitis) is a challenging disease. If horses recover from it, they can still be left with temporary or permanent deficits such as you mention. Sometimes these deficits are mild (like a hind toe that drags) and don’t interfere much with riding. However, sometimes they’re more serious (like stumbling or incoordination) and result in a horse being retired from performance. My first advice to you is work closely with your veterinarian to make sure the infectious organism (usually Sarcocystis neurona) has been completely eliminated. Use non-steroidal anti-inflammatory drugs (NSAIDs) such as phenylbutazone as directed to reduce any inflammation that treatment may have caused. Develop a physical therapy program that helps your horse regain his strength and coordination. This may include hill work, cavaletti, walking across different surfaces, massage and other rehabilitation techniques. Supplements also play an important role in supporting a full recovery from a neuromuscular condition like EPM. 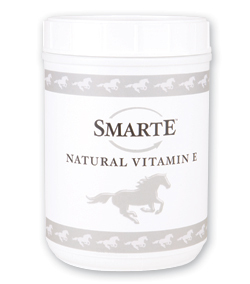 As an antioxidant, Vitamin E protects tissues locally from damage by free radicals and supports a healthy immune system. Vitamin E works close with its partners Selenium and Vitamin C to safeguard the body from the oxidative stress of exercise, illness and certain medical conditions. However, only supplement with Selenium if this mineral is deficient in your particular area. Ingredients known to fight inflammation naturally are also good choices for supplementing a horse being treated or recovering from EPM. Included in this category are Omega 3 Fatty Acids, MSM, and herbs such as Boswellia, Yucca and Devil’s Claw. Depending on how much muscle atrophy your horse experienced, you may also want to consider supplements designed to build healthy muscle. Look especially for products with the essential amino acids lysine, threonine and methionine, the building blocks of protein.